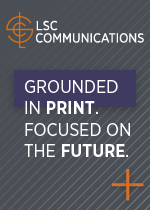 « Managing Today’s News Media: Audience First… Introducing The 4Cs Strategy For Survival And Success. The Must-Have New Book. 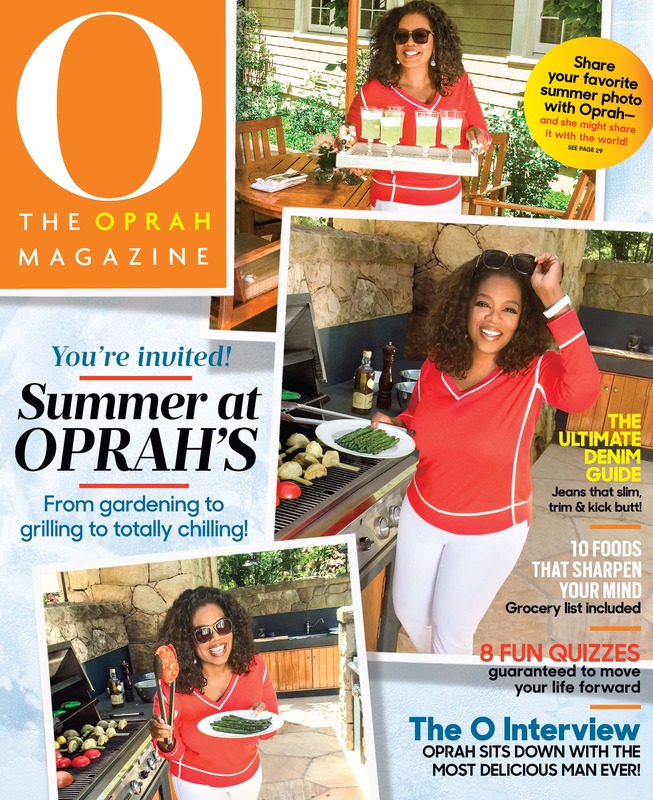 15 Years And Counting – O, The Oprah Magazine Celebrates The Major Milestone With A ‘Circle Of Friends’ That Continues To Grow Every Day – The Mr. Magazine™ Interview With Lucy Kaylin, Editor-In-Chief. Fifteen years is a major milestone for anything these days; sometimes our fast-paced lives, inundated with notifications and distractions coming from all directions make everything seem fleeting and surreal. That’s when Mr. Magazine™ grabs his drink of choice (usually coffee), reclines in his chair and reads a great magazine. O, The Oprah Magazine is one such relaxing and immersive escape. Celebrating 15 years of publishing success with beautifully curated content and amazing photographs; the magazine is as welcoming and compelling as its namesake. From the launch one year ago of the engaging ‘Circle of Friends’ subscription model to the new cover treatments, inside changes and more; O, The Oprah Magazine is pushing the boundaries on creative innovation and proving once again that there is power in the printed word and allure in good content. 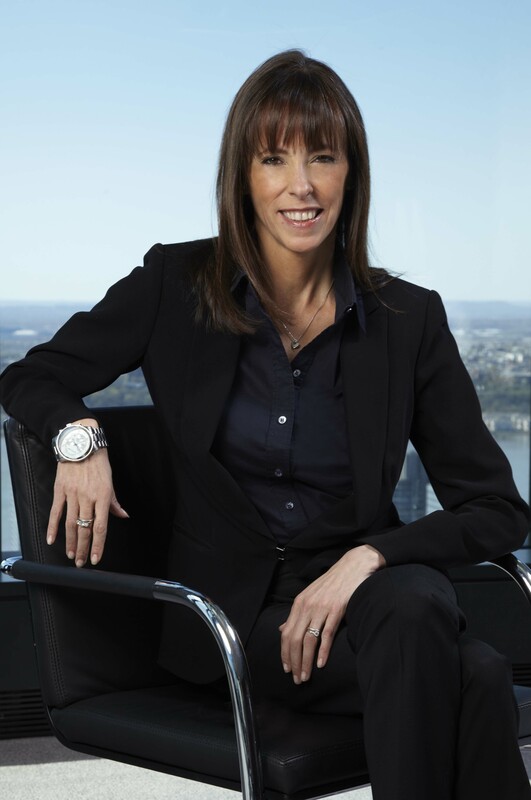 Lucy Kaylin became editor-in-chief of O, The Oprah Magazine in May 2013, having been deputy editor since 2009. I spoke with Lucy recently about the magazine’s 15th anniversary and the ‘Circle of Friends’ subscription model and Oprah herself and the magnetic connection Oprah has with her audience, both the woman and the magazine. It was a very enlightening conversation and one that proved fame and fortune doesn’t always change the core of a person’s true nature or the ink on paper that bears her moniker. Genuineness and quality always shine through. So, I hope you enjoy the Mr. Magazine™ interview with Lucy Kaylin, Editor-In-Chief, O, The Oprah Magazine; it was a true joy for me. On the secret to O, The Oprah Magazine’s longevity: The magazine is the same; it’s never just about celebrities. It’s always had, arguably, the world’s most famous celebrity on the cover every month anyway. It’s been about big, resonant, rich, important ideas for real women. So, there have always been lots and lots in the magazine for women who have great ambitions for themselves, in terms of living a realized life. And that’s for all time, that’s not something that goes in and out of fashion; it’s something that I think we all want. On the process of putting together an issue of the monthly magazine: We have what we call ‘Big Idea Meetings’ and that’s where we get the entire staff together and talk about themes, such as what would be worthwhile themes for each of our issues. And we’re in constant communication with Oprah, she’s very interested, obviously, in what we’re doing and she often has great ideas for us, but she’s absolutely wonderful in trusting us and letting us be the magazine-makers, but she’s there for us whenever we need her. On whether she feels she channels Oprah with each and every issue: To an extent. We really do like to have a multiplicity of voices, of course, so there will be people who have had all different kinds of experiences, sharing what they know and what they’ve been through, within our pages, so in that sense it’s not a strict first-page-to-last channeling of Oprah. But we do have a very, those of us who work here, have a very clear sense of what matters to her. On how she continuously engages the audience whether Oprah is in the forefront of media or not at any given time: We are blessed with a really wide readership and the readers that we have and our subscribers are quite passionate and quite loyal, so I don’t have the sense of fighting to find readers or fighting to keep them. I think the real secret is that what we’re putting out there is of such sustaining quality; it’s sustenance and it’s the stuff of life. Again, it’s not superficial; it’s not fleeting; it’s something that I feel certain millions upon millions of women and men are looking for. On why she believes Oprah and the magazine is inimitable to other publications: I really think that Oprah is 100% unique. She’s just a very powerful person and I mean that in the nicest way. She’s very impactful, the way that she’s able to connect with an audience, for instance. The way that she’s able to open up a person who’s sitting across from her that she’s interviewing. These are just incredibly rare gifts and skills that she has. She’s extremely tuned in to the human experience. She’s so not distracted by the trappings of fame and success. On Oprah’s down-to-earth nature: I know exactly what you mean. I’ve been around her many times when people are encountering her for the first time and it’s really quite something to see the impact that she makes. I can’t imagine that there are too many people you could compare her to in that respect. She peers right into your soul; she’s very much an authentic person with everyone she meets. That’s part of her magic; all that is completely real. On the most pleasant moment in her career: There have been so many. I can certainly say that one of them was getting this job, which is being the editor of Oprah’s magazine. It really touched me in a very profound way, the responsibility that I was being given. On the major stumbling block she’s had to face: For me, I think probably it’s just like with most people when you’re starting out. I was a writer at GQ magazine when I was quite young, in my 20s, and I do remember trying to figure out what I wanted to say. I was always good at putting words together and making pretty sentences, but I remember being challenged by my editors at GQ who were great mentors and very talented people, who made it clear, especially at a magazine as great as GQ, that it wasn’t enough to just write well, you had to have a point of view and something to say. On what she knows for sure as editor of O, The Oprah Magazine: I know that magazines have always been and continue to be a really rare and wonderful thing. I think, especially with a magazine like ours, it is a uniquely, immersive experience. It’s such a pleasure to have this beautifully curated collection of stories, ideas, sometimes quizzes, exercises; things that have been put together to challenge readers and to lift them up and get them to see their own life in a new way. On whether O, The Oprah Magazine could exist without the print component: I suppose it could, simply because there are so many other ways to express one’s ideas. There are obviously so many formats and platforms out there today. But I wouldn’t love that; I wouldn’t think that would be a positive thing. O, as a print publication is incredibly special and it’s lush and beautiful and it’s tactile and something that is very well-enjoyed in bed, in a hammock, on the couch or in the tub. The physical nature of it is one of the very special things about it. On what makes her click and tick and motivates her to get out of bed in the mornings: I really love the work itself. As social as I can be, which is what makes me take such pleasure in my colleagues; I love the solitary work of magazines; I love working on copy and I love wrestling with ideas. I love the process of taking the wet clay of a concept and molding it, figuring it out and turning it into something wonderful that you can share with literally millions of people. It’s very pleasurable work. On anything else she’d like to add: Just that it’s a very exciting time. As you know we’re celebrating our 15th anniversary and I’m really thrilled with the momentum that I’m feeling, creative and commercial, in terms of just the excitement that surrounded our May issue, which was officially our anniversary. And the great sense of a new chapter beginning that we all have. On what keeps her up at night: I would say that even though this is a volatile time in the magazine business, happily, I don’t feel like anyone is dying from it or suffering deeply or terribly from it. In that sense, I reserve my sleeplessness for what’s happening with my kids. But the magazine business is there and I think it will survive and be there for me, no matter how much sleep I get or don’t get. And now the lightly edited transcript of the Mr. Magazine™ interview with Lucy Kaylin, Editor-In-Chief, O, The Oprah Magazine. Samir Husni: When O, The Oprah Magazine was launched, there was a lot of talk about how long a celebrity magazine could last; we had Martha Stewart and Rosie, yet, 15 years later, the magazine is still going strong. What do you think is the magazine’s secret to longevity? Lucy Kaylin: I think it’s a couple of things. The first thing really is Oprah herself. She’s so much more than just a celebrity. She’s a person who is admired the world over for her completely unique and inspiring journey and her approach to life, for her endless curiosity and creativity and her love of challenge and innovation. I think people realize that they’re not just looking at a really famous face when they see Oprah; they’re seeing a very authentic person who lives in a very big way the life that they see for themselves, which is one of creativity, passion and self-realization, all of those things that are quite genuine and not all just about fame. And for the other part of my answer; the magazine is the same; it’s never just about celebrities. It’s always had, arguably, the world’s most famous celebrity on the cover every month anyway. It’s been about big, resonant, rich, important ideas for real women. So, there have always been lots and lots in the magazine for women who have great ambitions for themselves, in terms of living a realized life. And that’s for all time, that’s not something that goes in and out of fashion; it’s something that I think we all want. We’re the very best DNA in the business, I think, and we’re really about something. It’s not about fads or gossip; it’s about what really matters most to the human experience. Samir Husni: As you channel this human experience with every issue of Oprah; can you describe for me the dynamics of how you put each issue together? 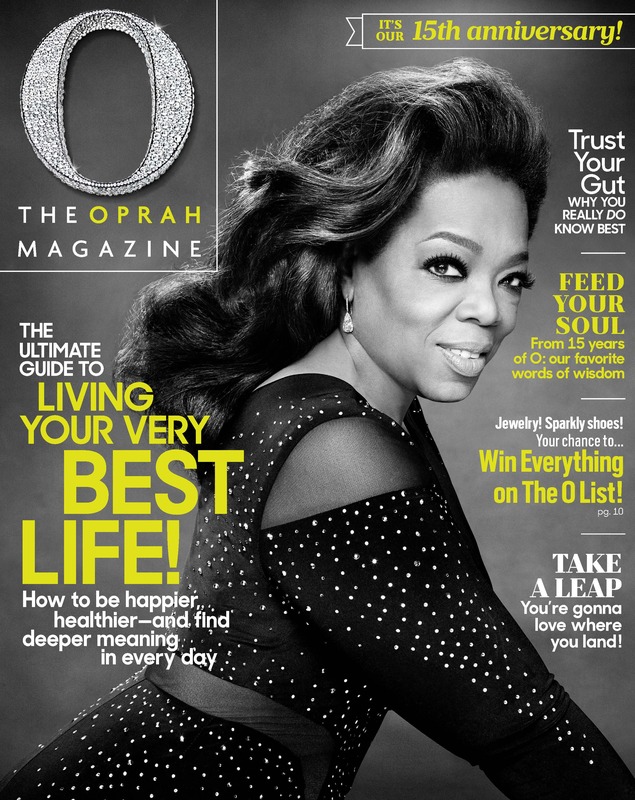 How involved Oprah is with the actual magazine? There’s a lot of talk that Oprah reads or looks at everything. Just describe for us the process of putting an issue of O, The Oprah Magazine together every month. Lucy Kaylin: We have what we call ‘Big Idea Meetings’ and that’s where we get the entire staff together and talk about themes, such as what would be worthwhile themes for each of our issues. Ideas of themes that we’ve had in the past are: ‘Who’re you meant to be,’ ‘The 20 most important questions a woman should ask herself,’ or ‘Aging brilliantly,’ How to love the skin you’re in;’ those kinds of ideas that, again, are really about helping women to live a fuller and better life. So, when we settle on a theme, we kick around how that would play out in the pages, such as who would be some of the writers that we’d like to contribute stories and who knows someone who has a cool story to tell about the topic at hand. And we’re in constant communication with Oprah, she’s very interested, obviously, in what we’re doing and she often has great ideas for us, but she’s absolutely wonderful in trusting us and letting us be the magazine-makers, but she’s there for us whenever we need her. She’s certainly not interested in micro-managing and she loves to see what we come up with. Not long ago my senior staff and I were at a retreat at her house on the West Coast and that was just an incredible opportunity over the course of a couple of days to really pick her brain and to share with her some thoughts that we had for the magazine and her feedback was valuable. We treat her instincts like the gold that they are and listen very carefully to that feedback. Samir Husni: Do you feel as though you channel Oprah with every issue? Do you transform Oprah the person into Oprah the ink on paper? Lucy Kaylin: To an extent. We really do like to have a multiplicity of voices, of course, so there will be people who have had all different kinds of experiences, sharing what they know and what they’ve been through, within our pages, so in that sense it’s not a strict first-page-to-last channeling of Oprah. But we do have a very, those of us who work here, have a very clear sense of what matters to her. And the kinds of things that she likes to see in the magazine and the kinds of positions that she takes on things. We’re all pretty likeminded here. We came here to her magazine for a reason, so it’s not a struggle to figure out or to understand what’s important to her. It’s top of mind, for sure, all the time, what would Oprah think or what would she do and would this please her; whatever the story at hand might be. Samir Husni: The title of one of my new books that’s coming out in August is called “Audience First” and when I look at the Oprah magazine and hear some critics, such as when Oprah stopped her television program, people were saying that’s the end of Oprah. Or whenever Oprah does anything remotely different, people cry that’s the end of her; how do you continue to capture that audience who are either enthralled with Oprah the magazine or even with what Oprah represents, not necessarily with the human being, Oprah, but her teachings, messages, her lifestyle, or they’re convinced she’s a thing of the past? How do you retain that steadfast audience, regardless of whether Oprah has a television show or not, and keep that magazine relationship flourishing? Lucy Kaylin: We are blessed with a really wide readership and the readers that we have and our subscribers are quite passionate and quite loyal, so I don’t have the sense of fighting to find readers or fighting to keep them. I think the real secret is that what we’re putting out there is of such sustaining quality; it’s sustenance and it’s the stuff of life. Again, it’s not superficial; it’s not fleeting; it’s something that I feel certain millions upon millions of women and men are looking for. If you’re putting out high quality content and you also have the benefit of an extremely high profile, extremely well-known face for the entire enterprise, such as Oprah and of course Gayle too, that’s a wonderful double-whammy for us. 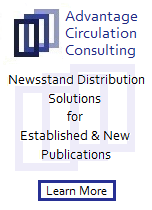 We have the great content, but we also have the extremely appealing and well-known face of what we do being the billboard for us, in a sense, as we look to attract new readers. Samir Husni: To me, Oprah is one of the first magazines in the United States that broke the race barrier; it’s more of a melting pot for any woman or man who can relate to that lifestyle or approach. Why do you think that no one else has been able to imitate Oprah? Lucy Kaylin: I really think that Oprah is 100% unique. She’s just a very powerful person and I mean that in the nicest way. She’s very impactful, the way that she’s able to connect with an audience, for instance. The way that she’s able to open up a person who’s sitting across from her that she’s interviewing. These are just incredibly rare gifts and skills that she has. She’s extremely tuned in to the human experience. She’s so not distracted by the trappings of fame and success. It’s so interesting to me that there are lots and lots of actors and actresses today who have achieved tremendous fame and wealth and have, as a result, lived very strange lives sometimes and have been sort of walled-off from their public because it’s all become just too stressful and paparazzi-driven. It becomes, again, a kind of strange life. And that’s just never happened to Oprah, even though she’s the most famous of them all, because she’s really tuned in to the human condition. And what made her famous was, of course, her TV show where she was very much surrounded by and interested in real people and real people’s issues and what was happening with their families and their pasts and childhoods, jobs and marriages. She’s always been an authentic person in our world. And that doesn’t go away; she’s as real as they come and she’s been fabulously rewarded for it, but that doesn’t change her. Samir Husni: I met her once when the magazine was launched at the launch party. And with all of the celebrities that I have ever met, I’ve never met anyone so down-to-earth. I felt like when she was shaking my hand and talking to me that we’d known each other forever. Lucy Kaylin: I know exactly what you mean. I’ve been around her many times when people are encountering her for the first time and it’s really quite something to see the impact that she makes. I can’t imagine that there are too many people you could compare her to in that respect. She peers right into your soul; she’s very much an authentic person with everyone she meets. That’s part of her magic; all that is completely real. And I think that’s why it’s such an advantage for us at the magazine. The heart of what we do is so real; it’s so authentic and it all stems from her. Samir Husni: Speaking of real, for everything in this life, including life itself, there is a lifecycle. There’s a time to be born and a time to die, Heaven forbid. That being said; is the life of the magazine attached to the life of Oprah? Lucy Kaylin: I don’t think I could comment on that. I hate to even think of such a thing, if what we’re implying is what happens when she’s gone. I don’t know. I think we are just as grateful as we could possibly be for what she’s put into the world and what she continues to bring into the world and that we get to be a part of it. Who could possibly speak about the future? Lucy Kaylin: There have been so many. I can certainly say that one of them was getting this job, which is being the editor of Oprah’s magazine. It really touched me in a very profound way, the responsibility that I was being given; the trust that the people around me had in my abilities; just the privilege, the privilege of being the chief custodian for something as wonderful as O, The Oprah Magazine. Samir Husni: And what has been one of the major stumbling blocks that you’ve had to face in your career and how did you overcome it? Lucy Kaylin: For me, I think probably it’s just like with most people when you’re starting out. I was a writer at GQ magazine when I was quite young, in my 20s, and I do remember trying to figure out what I wanted to say. I was always good at putting words together and making pretty sentences, but I remember being challenged by my editors at GQ who were great mentors and very talented people, who made it clear, especially at a magazine as great as GQ, that it wasn’t enough to just write well, you had to have a point of view and something to say. And I remember struggling with that and trying to get my arms around the idea that my opinion on things and my point of view on things was worth broadcasting to the reading public. I got over that, but it took me some time. Samir Husni: If someone asked you today then; Lucy, you’re the editor of O, The Oprah Magazine, what do you know for sure? Lucy Kaylin: I know that magazines have always been and continue to be a really rare and wonderful thing. I think, especially with a magazine like ours, it is a uniquely, immersive experience. It’s such a pleasure to have this beautifully curated collection of stories, ideas, sometimes quizzes, exercises; things that have been put together to challenge readers and to lift them up and get them to see their own life in a new way. I feel like that there is something that’s just so fun and unique about a magazine. And of course it can be incredibly beautiful; the photography; the illustrations; it’s an art form for all time, even though we are constantly these days finding ways and brainstorming ideas to extend our brands and to do clever things off the page. But a magazine is the wellspring of all of that and it’s just a joyful thing. And I feel very lucky that I found my way into this business. 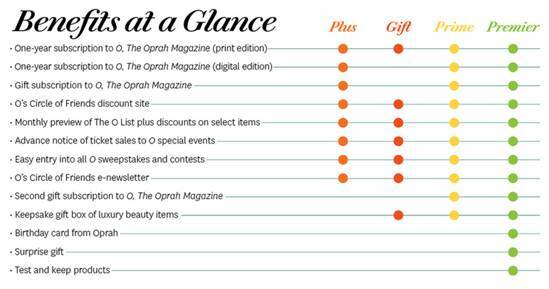 Samir Husni: Do you think O, The Oprah Magazine could exist without the print component? Lucy Kaylin: I suppose it could, simply because there are so many other ways to express one’s ideas. There are obviously so many formats and platforms out there today. But I wouldn’t love that; I wouldn’t think that would be a positive thing. O, as a print publication is incredibly special and it’s lush and beautiful and it’s tactile and something that is very well-enjoyed in bed, in a hammock, on the couch or in the tub. The physical nature of it is one of the very special things about it. That said; we made a very beautiful app for the E-reader and we’ve made beautiful books out of our content and we have a wonderful website and of course, there’s O, The Network that we sometimes do things with. So, again, there are all kinds of ways to be O, but I’m partial to print and I’m hoping it’s going to be around for a long time. 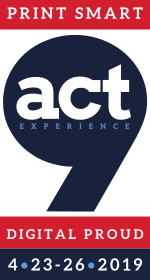 Samir Husni: What makes you click and tick and motivates you to get out of the bed each morning and say, wow, this is going to be a great day? Lucy Kaylin: I love the work. I absolutely love the work. One of the things that I discovered when I got into this business a few decades ago, where I started as a fact-checker at Vogue; one of the first things I noticed was the incredible caliber of people that are attracted to the magazine business. They’re all just so smart, funny and well-informed, so that’s always been a huge draw for me. I’ve worked with really fantastic people over the years and it’s just great to spend your day with people you like. That’s always been something that’s quickened my step on the way to work. But I really love the work itself. As social as I can be, which is what makes me take such pleasure in my colleagues; I love the solitary work of magazines; I love working on copy and I love wrestling with ideas. I love the process of taking the wet clay of a concept and molding it, figuring it out and turning it into something wonderful that you can share with literally millions of people. It’s very pleasurable work. Samir Husni: Are you a serial comma person? O’s Circle of Friends premium subscription model. Lucy Kaylin: Just that it’s a very exciting time. As you know we’re celebrating our 15th anniversary and I’m really thrilled with the momentum that I’m feeling, creative and commercial, in terms of just the excitement that surrounded our May issue, which was officially our anniversary. And the great sense of a new chapter beginning that we all have. So, I suppose that’s what I would add. Lucy Kaylin: I would say that even though this is a volatile time in the magazine business, happily, I don’t feel like anyone is dying from it or suffering deeply or terribly from it. In that sense, I reserve my sleeplessness for what’s happening with my kids; how am I going to get my daughter ready to go off to college in a month; concerns for my loved ones that I can’t escape from, for the most part. But the magazine business is there and I think it will survive and be there for me, no matter how much sleep I get or don’t get.